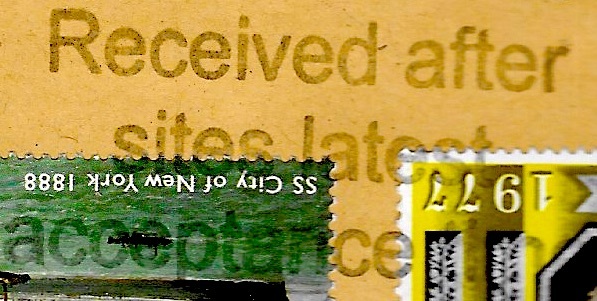 The purpose of the postal mark shown below would seem to be self-evident: the item was received at the Post Office branch after the last post for the day, and therefore any delivery guarantee would not apply as if it was received on the day of posting. This would be especially appropriate for Special Delivery mail which is guaranteed (in most parts of the country) to be delivered by 9am or 1pm the next day. Nowadays the receipt given at the Post Office counter indicates whether or not the item was posted 'After last acceptance time', as this example from Dereham shows. Normally the large letter would be cancelled at the counter with the counter datestamp, but in this case all the stamps have been cancelled with an unusual mark, and there is no indication of the place of posting. The sender lives in West Yorkshire, but occasionally posts from Lancashire or Derbyshire, so we are no close to knowing where this was applied. Could it have been applied at a Royal Mail Enquiry Office? Seems unlikely as they would surely be accepting mail until the despatch to the Mail Centre. 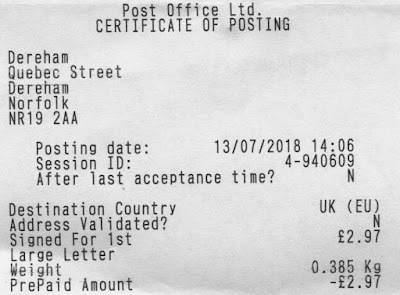 It seems a bit odd to use that cancel on a signed for letter which doesn’t have a guaranteed delivery date. Probably someone got a new cancelling machine. Doesn’t the Royal Mail's tracking website show the letters history? No, only its arrival in Pontardawe, which leads me to believe it was not scanned into the system on posting. 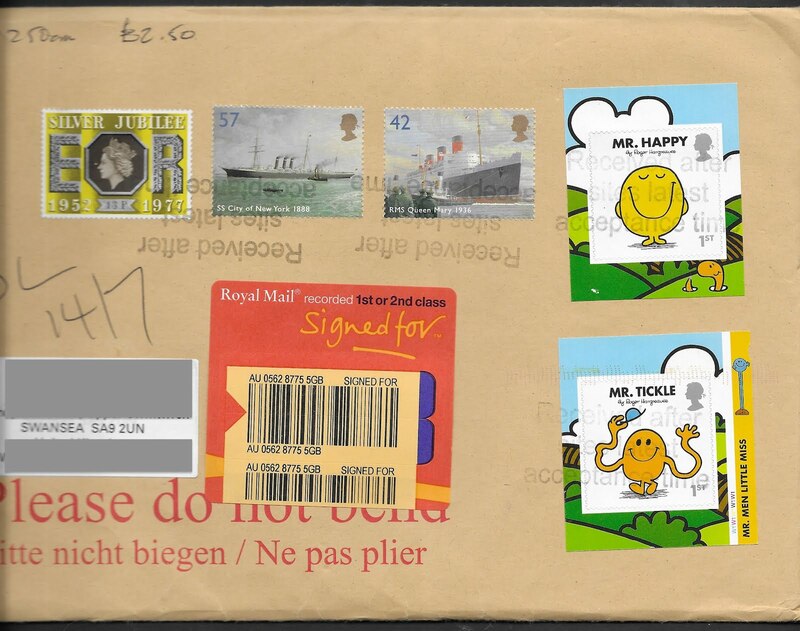 Good to see nice stamps used for postage! A pity they have apostopheitis - should be site's.